Now You Can Fly Your Swooper on a fence or building! Designed to hold Swooper Poles. 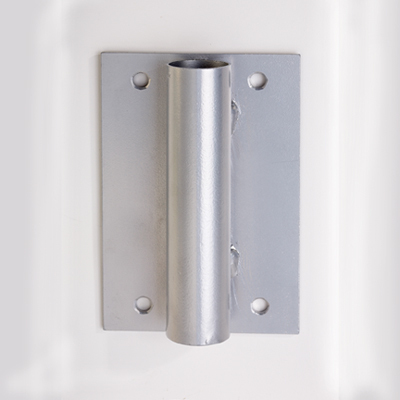 You can attach this bracket to fences, near the top of square light poles or buildings. Made of heavy duty steel, each bracket has a 4 inch x 5 7/8 inch plate with four holes to allow for easy mounting. Small hole at the bottom of the 5 inch tall shaft allows for water drainage.